What does it mean for the New Year? The investment year that is 2018 will be defined by many investment stories that dominated the headlines on social media, nightly news and investors’ whispers across the country. In a year filled with sudden volatility, many will recall the market declines in both February and the similar slippage felt starting in October as investors’ nerves rattled. The retrospective on 2018 may be the year that fear crept back into the hearts of investors after nearly a decade of mainly positive movement higher. Although we are writing this article at the end of November, and we have one month to go before the year ends – let’s take a look at the year of 2018 and pick out the memorable moments and financial memories to help us get a clearer view of where we are going in the months and year ahead. 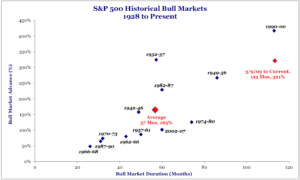 Not always, but often bonds provide a nice safe haven in the face of stock market volatility. Yet, as we saw interest rates move higher, the normally safe and stable investments didn’t perform as well as many had hoped. In fact, per Morningstar, the research shows that the Morningstar Conservative Allocation Benchmark is -2.16%, which means those who sought shelter found none during the stormy markets of 2018. Not since the 1930s has anyone seen meaningful tariff talks enter the minds of consumers and businesses alike. Yet, the current administration opted for rigorous negotiations with some successes for industries like agriculture and autos with the Mexico and Canada trade deals. Despite the trade improvements with our Northern and Southern neighbors, media and market coverage focused on the deal and lack of progress with China. The tariff hit Chinese stock markets especially hard with a decline of nearly 30% from the start of the year until the start of the 4th quarter (source: Strategas August 21, 2018). As of the moment, without a trade deal, it’s likely, in my opinion, that if we see a resolution with China that offers an improvement to our current arrangement, the market may rally higher on the news. The conundrum is figuring out when and if it will happen and how to invest hoping for that outcome. For the first time since the financial crisis, the stock market, the bond market and retired investors watched the short-term treasury yield rising with every Federal Reserve rate increase, and the difference between the yield on the longer yield curve slowly start to get closer together. The difference between the three-month U.S. Treasury and the 10-year U.S. Treasury hit a recent peak around 2014 at nearly 3.0%. Well, as of the end of November, per the U.S. Treasury website, the difference between those two is 0.72% (2.36% minus 3.08%). 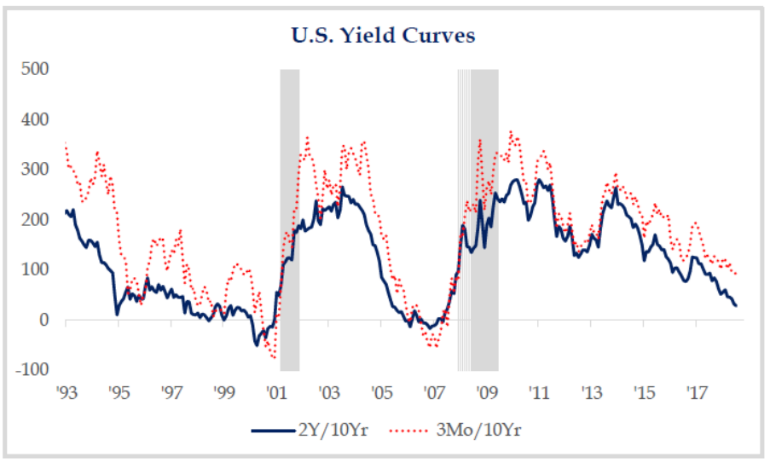 It is often an indicator of an upcoming recession, and in fact, most believe that every inverted yield curve in U.S. history came with a recession. We will have to see what interest rates do, but it seems, to many, by looking at the charts, it’s a matter of time! As the financial crisis brought the stock market and banking sector to its knees, many credit the Federal Reserve with bailing us out with zero interest rates and an ever-expanding balance sheet. As the Fed maintained an easy money policy, the market eventually regained confidence accordingly. Eventually, the Fed got off the zero-rate policy and expansion of its own balance sheet. Then, as interest rate increases finally started to take hold, eventually our short-term interest rates started to match and meet our annual level of inflation. This was a watershed event and, when coupled with a gradual balance sheet reduction, the Federal Reserve finally started adopting a tighter money policy and the market definitely noticed. So, as much as the Fed helped us grow during the prior nine years, they can also make it difficult as they desire to cool off a hot running economy. 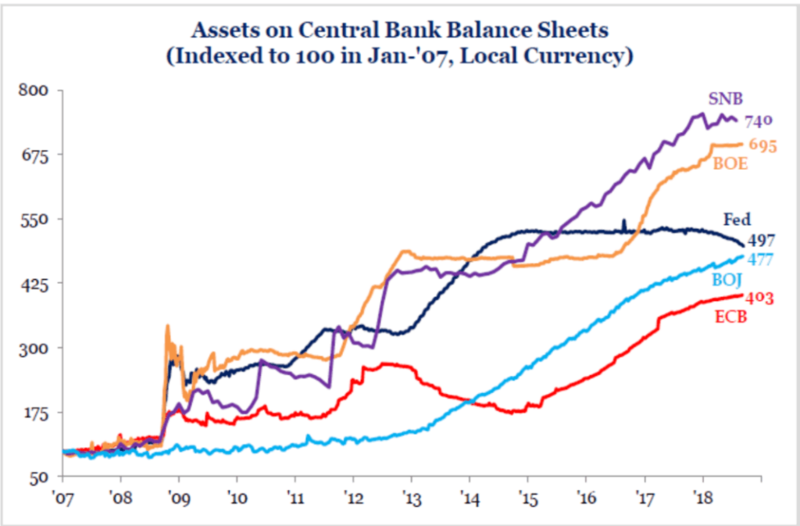 See the chart below as the Fed started to peel back their balance sheet. If you listen to CEOs of many publicly traded corporations, they discuss the importance of tax reform and the positive impact it is having on business. For some big companies, it meant pulling overseas money back onto U.S. soil for the one-time tax relief and using those dollars to either retire debt or buy back shares. Other companies are using the $1.5 trillion-dollar corporate tax reform to invest in their business and build infrastructure. In either event, the money in the hands of corporations should hopefully translate into continued growth in the quarters and months ahead. How long can this go? Well, the market downturn towards the end of 2018 may be the ultimate answer to that question, but the sheer length of the stock market recovery from the 2009 lows is impressive as expressed in the chart below detailing just how long this market expansion truly was! We look at 2019 as a year of answering many questions set during our 2018 market cycle. Will we get more stimulus from the White House? Will we work out our trade deal with China? Will the Fed keep raising rates no matter what? Will the impact of corporate tax reform carry over into 2019 and beyond, or were its effects just a one and done? All of this and more will be answered soon enough in the coming weeks, months and quarter ahead. Stay tuned to our social media accounts, podcasts, articles and blogs as we seek to provide answers to these questions amongst others in 2019! 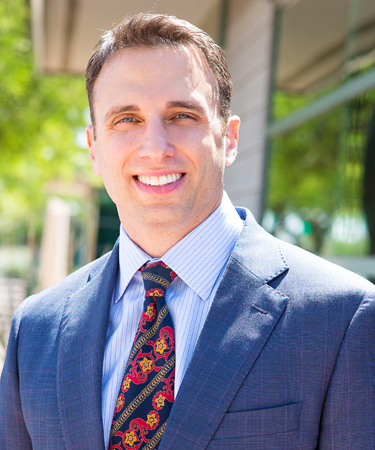 Michael Carlin, AIF®, is the President and Founder of Henry+Horne Wealth Management. He can be reached at (480) 483-3489 or MichaelC@hh-wm.com.